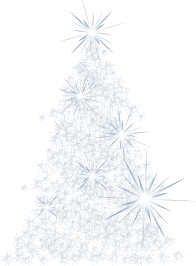 This year Concho Christmas Celebration proudly hosts the 25th Annual Tour of Lights. What began as a short walking tour of lights, in the El Paseo de Santa Angela area, has grown into a 2.5 mile drive along the banks of the Concho River with more than three million lights and seventy Christmas Greeting Cards. 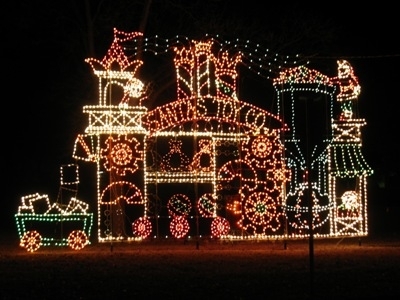 This year, the Tour of Lights opens Friday, November 30th and continues every evening through Monday, December 31st. Cars enter at Bryant Blvd. South and Abe Street (the street north of the Main Post Office), 598 W. 1st. Street. The Tour of Lights is open from 6:00 to 10:00 p.m. Sunday through Thursday, and from 6:00 p.m. to Midnight, on Fridays and Saturdays. A donation of $5 per vehicle is suggested. The Tour of Lights encompasses animated scenes depicting the The 12 Days of Christmas, a Toy Factory, a Gingerbread House, an elaborate nativity scene, a National Patriotism Flag, Santa Claus and much, much more! The Live Nativity Scene, located at the El Paseo de Santa Angela, will be presented on December 14-16 and December 21-23, with interdominational communion offered on Sunday, December 16th and Sunday, December 23rd. With the addition of several new light scenes and displays for our 25th anniversary event, the Tour of Lights will be bigger and brighter than ever. Concho Christmas Celebration has also expanded the beautiful poinsettia light display located at the Convention & Visitors Bureau building. The poinsettias are displayed in such a way as to enhance their beauty, and the hillside position gives them a life-like appearance. We are continuing our LED light phase-in program, and the new light scenes and changes will delight all visitors to the Tour of Lights.